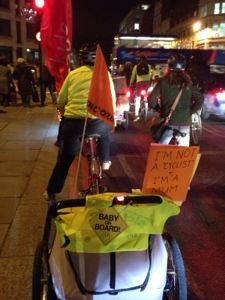 I attended a demo outside TFL HQ on Blackfriars Road, to highlight the sad cases of recent cycling fatalities in London, and the failure of Boris/TFL to take proper budgetary action to improve cycling safety. The concerns will not go away- and pressure is building on Boris to act. 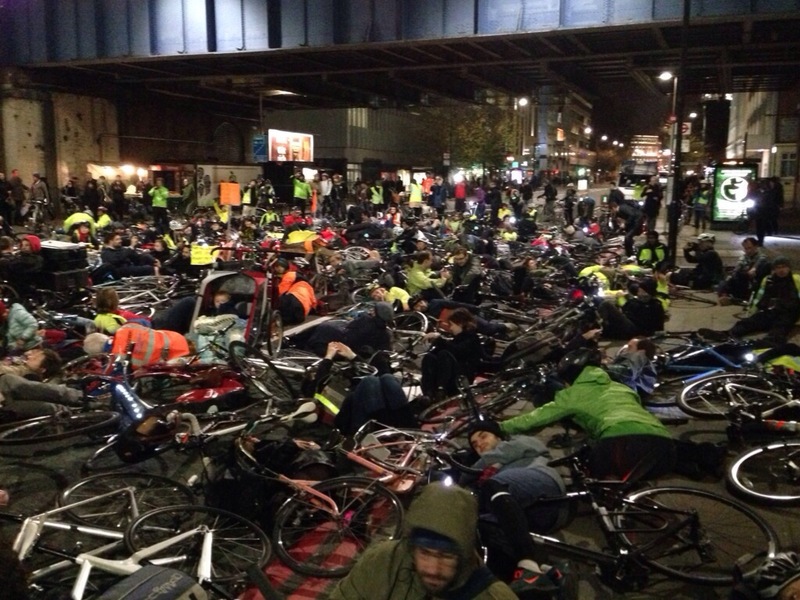 There is a lot of anti-cycling sentiment out there, for which some cyclist behaviour does not help, but ultimately cyclists are vulnerable and it is time to stop blaming cyclists for the fatal accidents or incidents where they are seriously injured, and work to make London a safer, more cyclist-friendly environment. 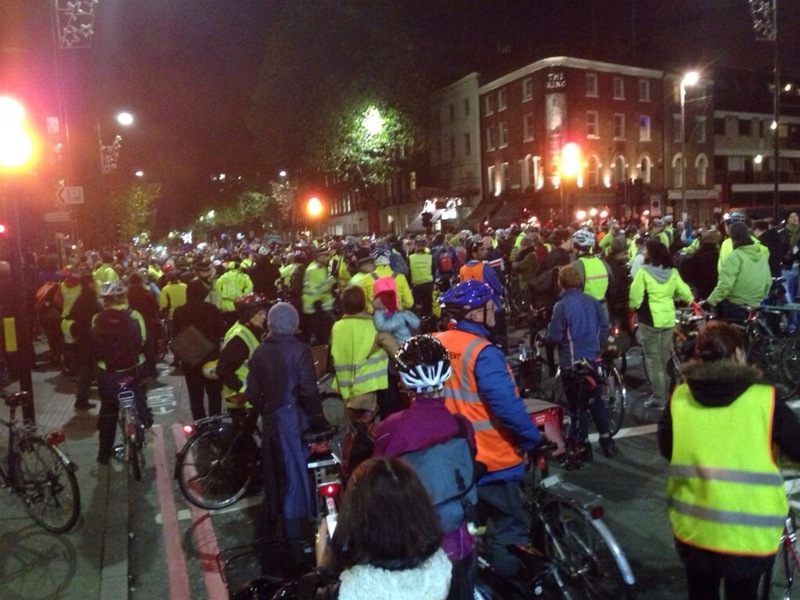 This entry was posted in cycling, Featured, Politics, Uncategorized and tagged cycle deaths, cycling, london on December 3, 2013 by Greg Foxsmith. 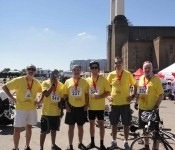 Every year one of the highlights of the fundraising calendar is the London Bikeathon, and the 2013 Bikeathon was no exception. The biggest fundraiser for Leukemia and Lymphoma research, this event with different distances of 26, 52 or 100 miles has something for cyclists of all abilities. 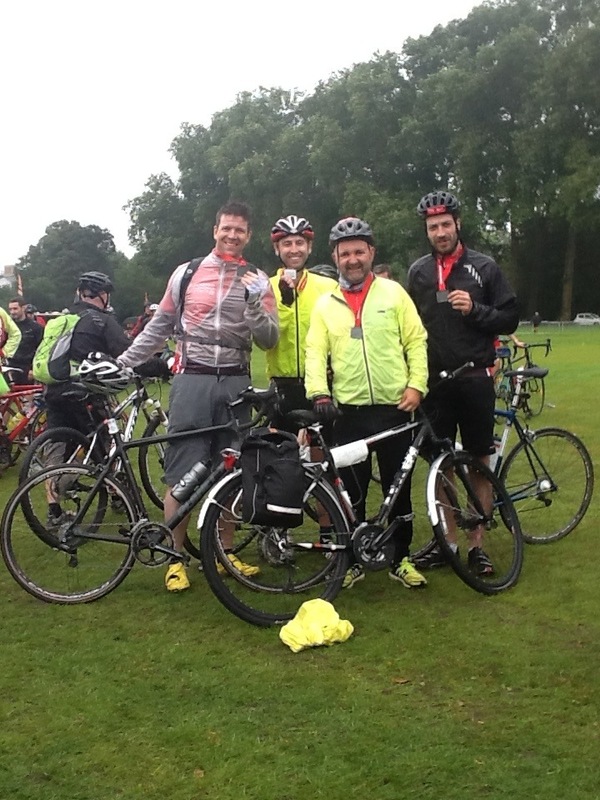 I’ve previously entered on my own and enjoyed the camaraderie of the other cyclists hitting the roads in and around London, but more recently have been privegeled to be part of the Shearman Bowen team. This year the date was moved back to a rainy September in mid-September – but the team came through completing the 52 mile route. Our sponsor page is still open – so please click here to contribute to a great cause. This entry was posted in charity, cycling and tagged Leukemia, Shearman Bowen on September 17, 2013 by Greg Foxsmith. During the campaign, I was struck by the excellent campaigning work on this issue by Reprieve, a charity I have long admired for excellent campaigns on justice and death-row cases. 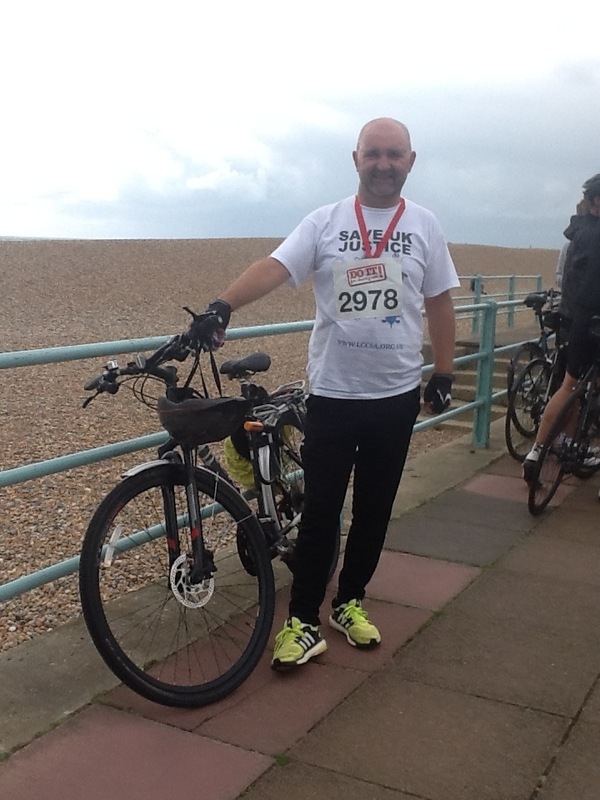 This entry was posted in charity, Civil Rights, cycling, Featured, Politics and tagged Greg Foxsmith, Islington, Reprieve on August 27, 2013 by Greg Foxsmith.